Through all the sleepless nights, sacrifice, and sweat, finally, Dr. NGO NDJAMA Joelle Danielle has added a new title to her name. 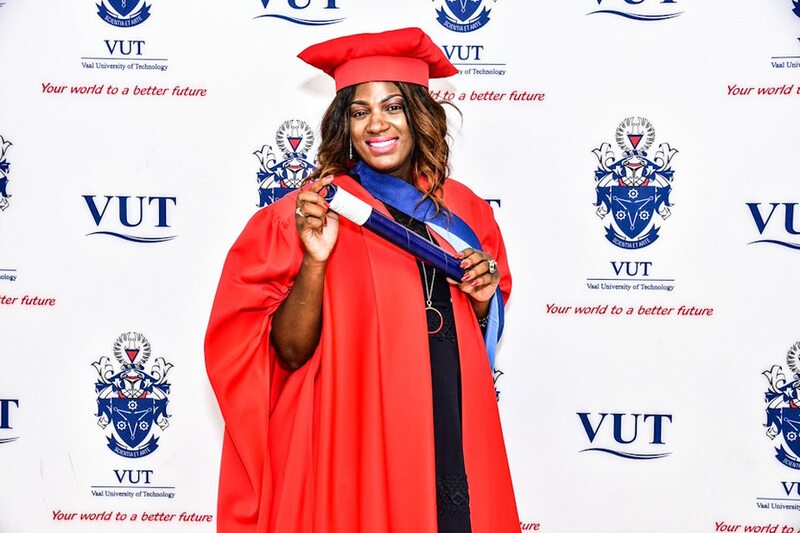 On 10 April 2019, she obtained a Phd in Business Administration. Dr. Danielle had tears of joy when she expressed what an amazing feeling it is to wear a red gown. “I have no words; my heart is filled with joy” she said. 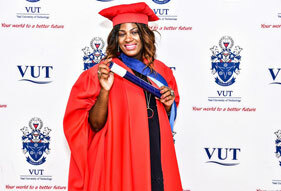 Being the first person in her family to obtain a Phd, she expressed her gratitude to her family who have always given her the support she needed, even when she felt like quitting. To undergraduates who are aspiring to reach this level, she advised them to never give up, push until they prevail. “There will be challenges but do not give up on your dream, set goals and take one step at day towards them.” She said.